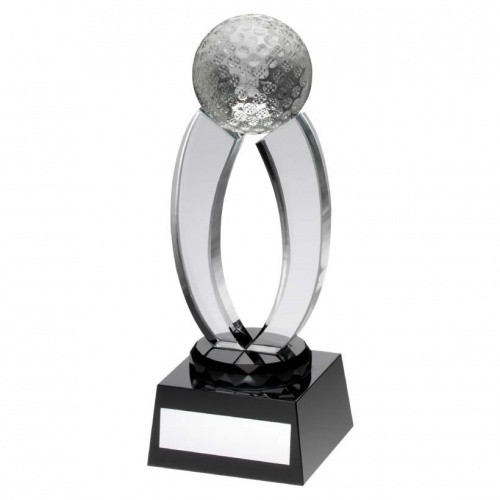 Fine quality glass golf trophy featuring clear glass golf ball set on two curved struts, mounted on a multifaceted black glass collar and set on a bevelled base with engraving plate. Available in three sizes, offered with engraving options. Each of these modern clear and black glass golf trophies is supplied in a quality presentation case.